Recycled cheap projects. All the rage right now for those who don’t want to spend big bucks and help our Mother Earth. 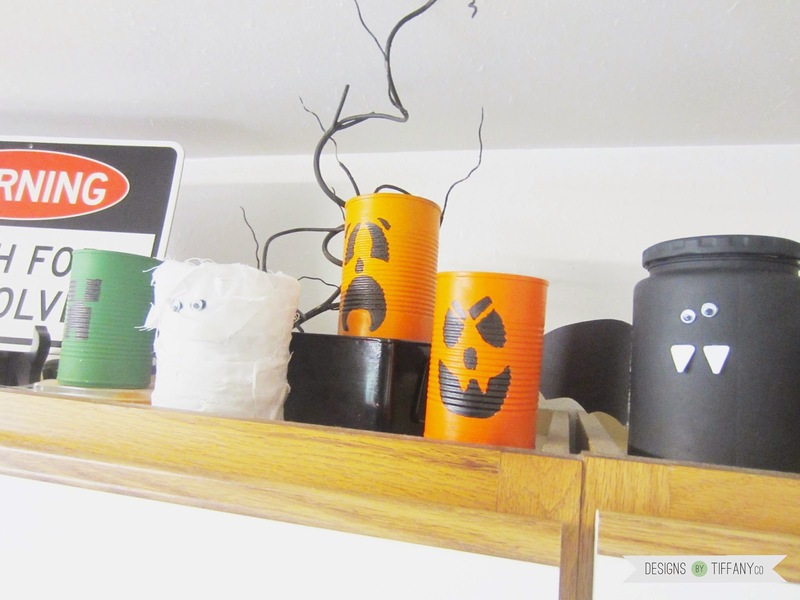 These little Halloween cans are recycled from different types of cans like pumpkin, beans, cream of chicken and the bat is even a pickle jar. I actually made these when I was newly married and even more tight on a budget and have still kept them around. My husband is so cute because he’s always saying how much he likes them and how different they are compared to other decorations. Because they were so cheap, I never thought of them as unique and cool! But there you have it, from a man, that these cans are indeed groovy and fun. 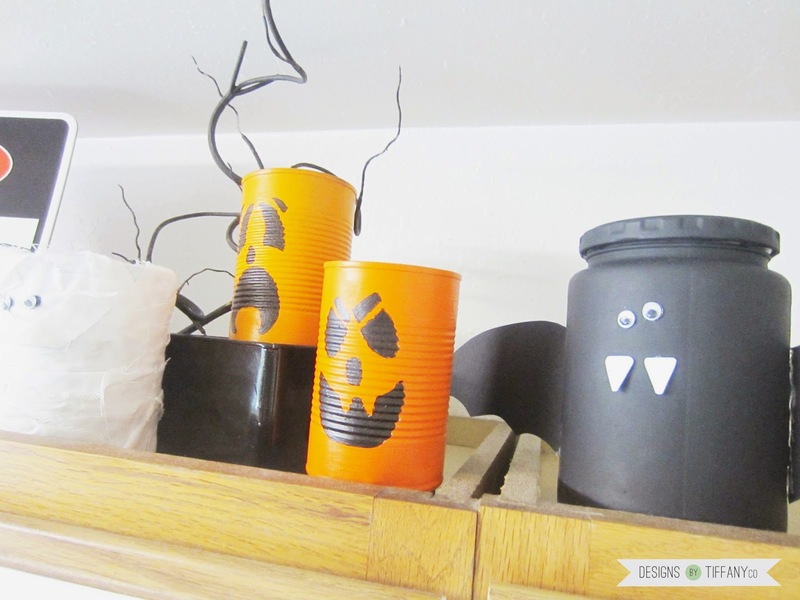 To make the pumpkins and creeper, first paint the entire can. You’ll need to do a few coats to get it even and covered. After it’s dry, use the sharpie pen to draw on the faces. I found that to be much easier than trying to paint it! For the bat, paint the can. After it’s dry, cut out some fangs and wings using white and black card stock. Hot glue the googly eyes, fangs, and wings. For the wings, make sure to hold it steady while it dries to make sure they get on really good. 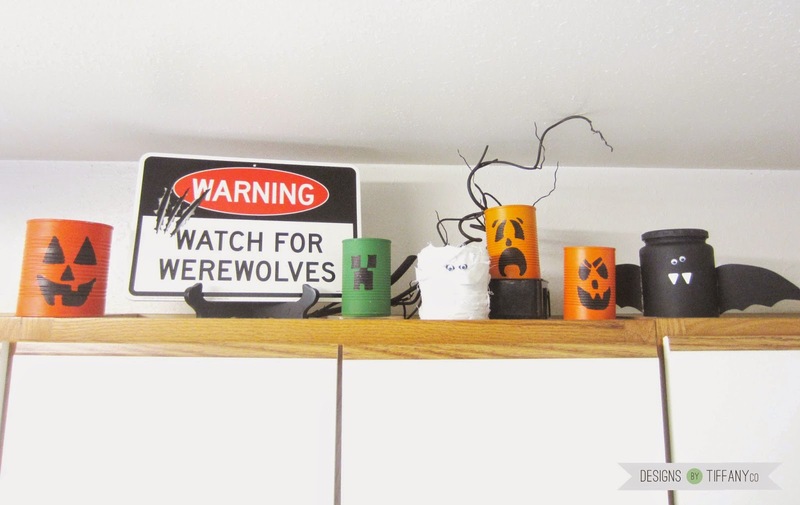 Every year or so they fall off after being packed up in a box, but they can easily be hot glued again. And the mummy, you don’t kneed to paint the can. First, hot glue a square of white fabric on the top of the can. Then cut lots of little 1/4 in. strips. Glue on the strips going in different directions. This is fun because it doesn’t need to be perfect, just make sure you cover the whole can. Then glue on the googly eyes. The options are endless with all of the different Halloween creatures you can do! 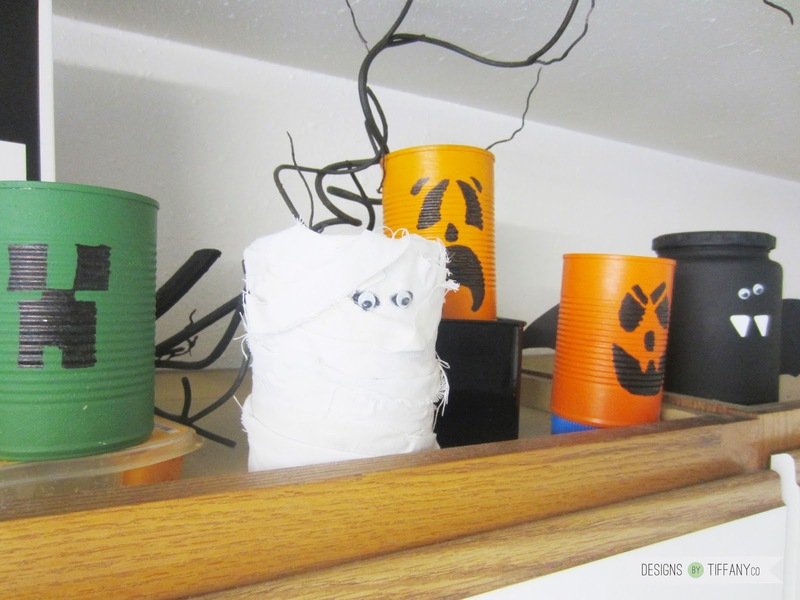 I thought of doing frankenstein and drilling nails into the can or you can make a witches hat out of card stock and glue in on the head. Whatever you want, but here are some ideas I have done that can get you started.